A series of drills on landing marine infantry soldiers to desolate Arctic shores are in the making in the Sredny Peninsula, just few kilometers from the border to Norway. As summer is coming to the peninsulas of Sredny and Rybachi, so are also troops from the Northern Fleet’s marine infantry. This week, big landing vessel «Kondopoga» sailed into the Kutuvaya Bay, a part of the Motovsk Fjord, and set ashore soldiers and equipment. A division of landing motorboats set the first group of marines ashore, whereupon more troops were landed along with armored personnel carriers BTR-82As. The armored vehicles were firing with their 30 mm cannons as they were making it across the waters, the Northern Fleet informs. The site for the training is located only about 40 km from the Norwegian border. The exercise was the first in a series of drills in the area, the Northern Fleet press service makes clear. In the near future, several more big landing ships will set course for the area and put ashore men and hardware. 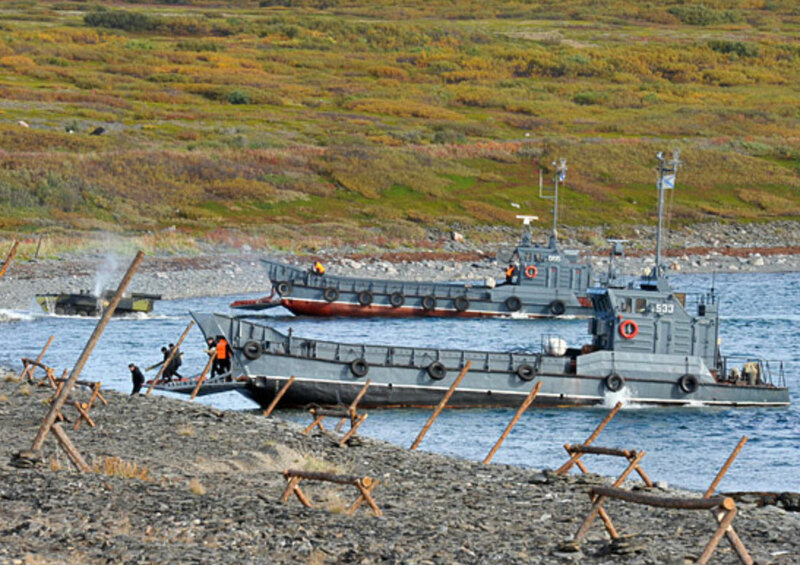 The peninsulas of Sredny and Rybachi are annually used actively by Northern Fleet soldiers for exercises. In September 2017, Su-24 fighter jets and Mi-8 helicopters engaged in extensive combat training along with more than 600 men and eight 8x8 wheeled amphibious armoured personnel carriers. 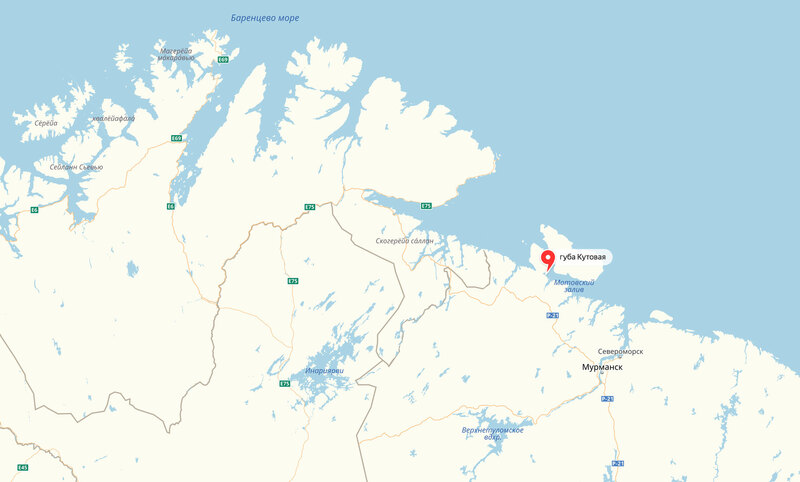 Noice could be heard in neighboring Norwegian settlements as the troops were shooting with 122 mm self-propelled howitzer type 2S1 Gvozdika along with 82 mm mortars and mobile coastal missile complex Bal. That training coincided with the huge Zapad exercise.